Kenith and Tabitha continue their reign atop the Hughes Academy after Saturday’s Live Pro Wrestling event. Both members of the gold-wearing power couple retained their titles at Kelston Intermediate School. Kenith withstood the onslaught of the ultra-popular Devin Lockhart—who earned his title shot with a win in the Hughes Academy Rumble last month—to retain the Hughes Academy Championship in the night’s main event. Tabitha held onto her Hughes Academy Women’s Championship with a win against Krystal Kayne. Charlie Roberts may have bitten off more than he could chew at Live Pro Wrestling. The Alphalete interjected himself in Kartik’s match with El Oro Maximo at the top of the night, and caused Kartik a disqualification loss when he attacked the Mexican luchador. Roberts tasted defeat himself later in the night courtesy of a superkick from Paul Sayers. 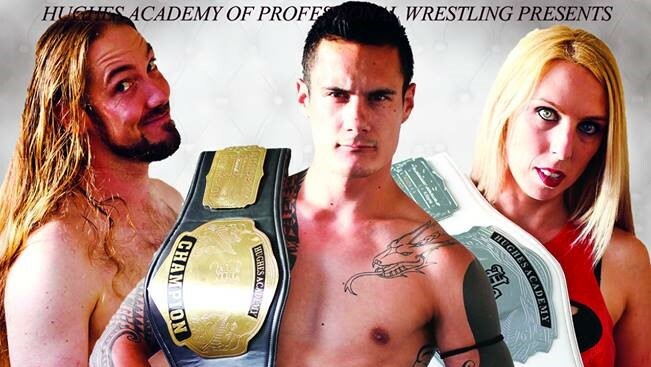 The Hughes Academy returns to Kelston Intermediate School with another Live Pro Wrestling event on Saturday, July 30.